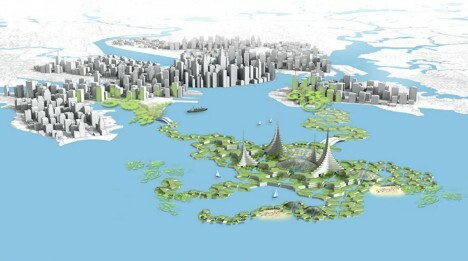 Ocean cities are a longstanding Utopian dream, but the majority of such schemes fail to address the immediate need of cramped urban centers, many of which around the world are bordered and constrained by large bodies of water. 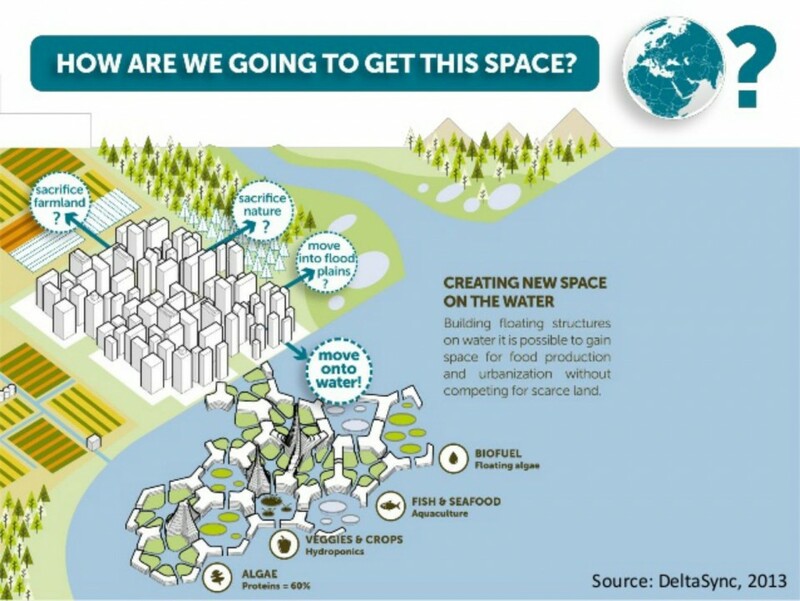 Blue 21, a Dutch architecture and design group, aims to sustainably extend such cities into adjacent lakes and oceans, alleviating the stress on existing metropolitan areas and providing vital resources (like space to grow food) in close proximity to urban cores. 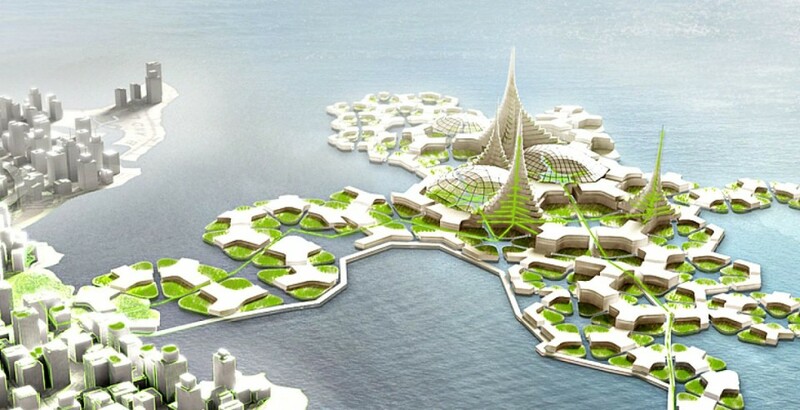 The team has experience building floating homes in the Netherlands but wants to take their experience global and work at a larger scale. These modular buoyant extensions can be added to over time and used to grow algae, veggies, crops and seafood, producing food and biofuels to support existing populations on land.